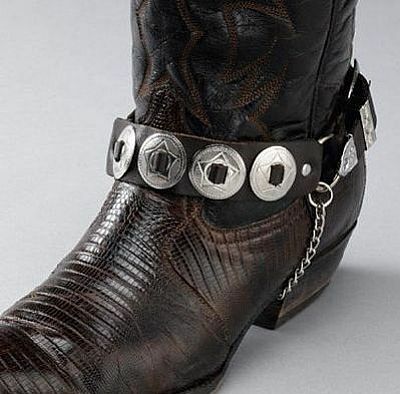 Brown Leather Boot Chains - Round Conchos.
! Informar a un amigo acerca de este producto !